Use this anti-ageing facial oil to revitalise the skin on your face, neck and décolletage with amazing effects. It is remarkable at plumping the skin and leaving it feeling nourished and with improved elasticity. It contains Organic Rosehip, Avocado, Almond & vitamin E and has the delicate scent of Rose Geranium with a hint of Rosemary. Anti-Ageing Facial Oil is made without parabens, lanolin, alcohol (ethyl alcohol, ethanol), artificial perfumes, methylisothiazolinone, methylchloroisothiazolinone, petrochemicals, phthalates and colourants. 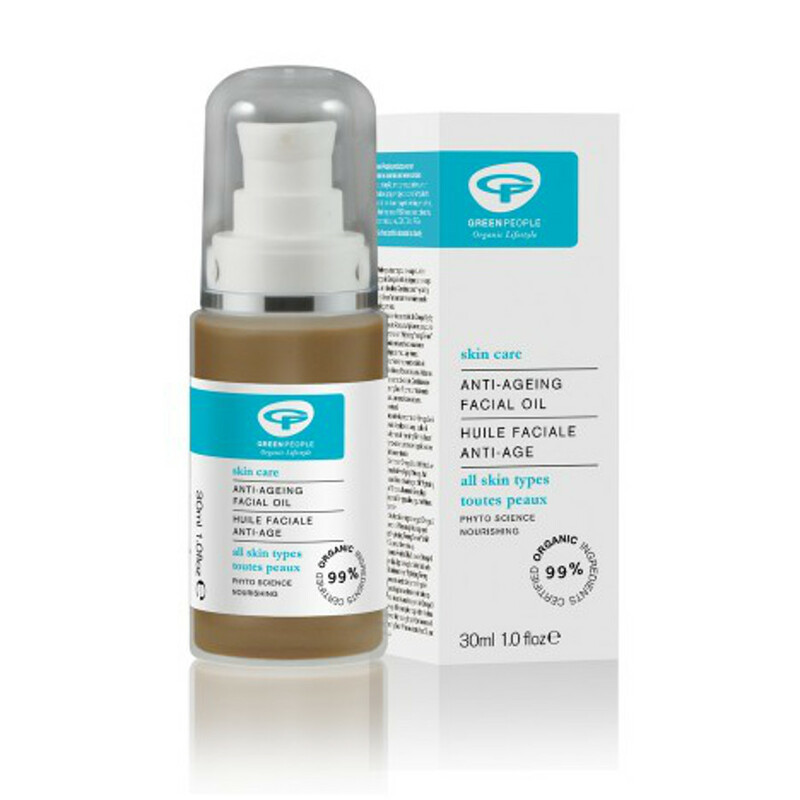 There are currently no questions to display about Green People Anti-Ageing Facial Oil - 30ml.